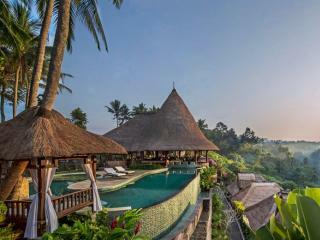 This exclusive resort is set in the spectacular countryside, just minutes from the art and culture of Ubud. 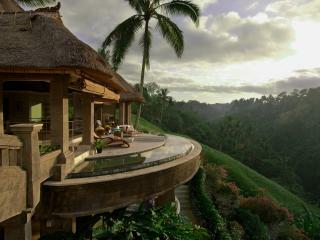 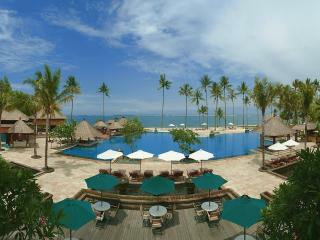 Viceroy Bali offers uninterrupted views of the valley and is nestled in Bali's mountain foothills. 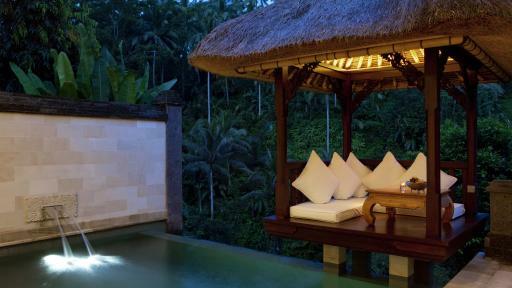 Accommodation at Viceroy Bali ranges from Garden Villas to Terrace Villas, Vice Regal Villas and Viceroy Villas, each as luxurious as the next and featuring their own private pools, tropical gardens and breathtaking views of the Petanu River valley and gorge. 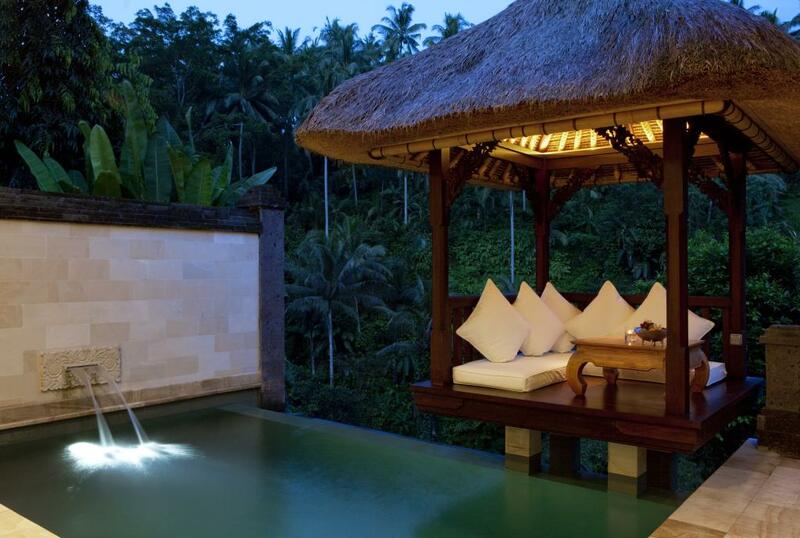 The facilities of Viceroy Bali are as exclusive as the resort itself and include a main swimming pool, onsite bar and restaurant, boutique, day spa and fully equipped gymnasium. 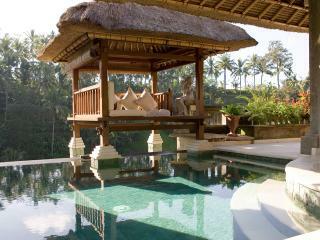 Located on the inclines of Petanu valley, the resort is also the only one in Ubud that has its own helicopter pad. 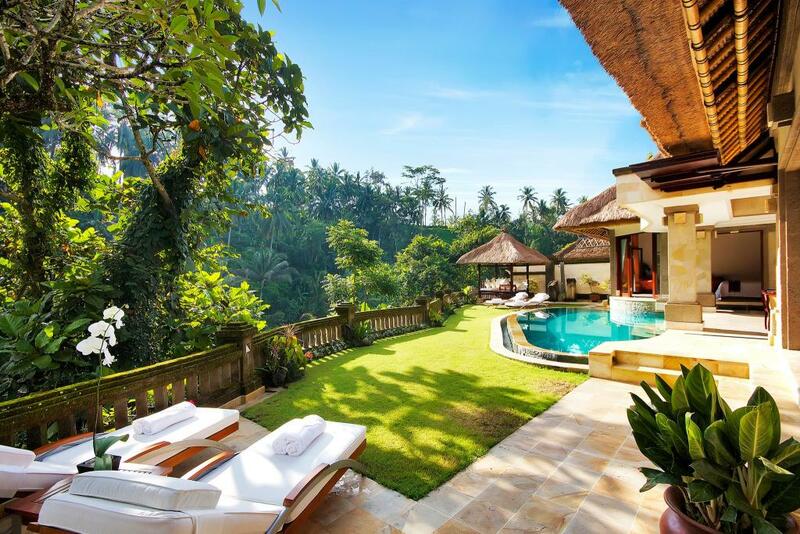 To surround yourself with tranquillity and awe-inspiring natural beauty, you can't go past the luxurious villas at Viceroy Bali on your next Bali holiday. 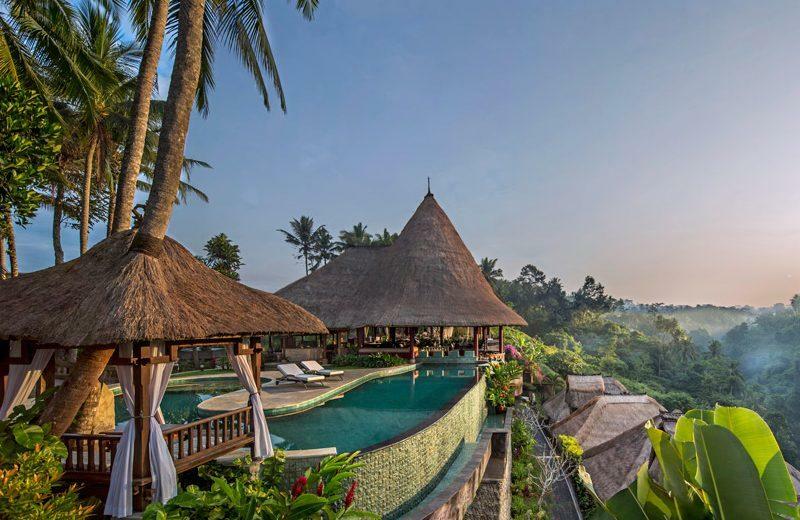 Viceroy Bali offers luxurious villas with incredible views of the Balinese landscape and feature huge open marble bathrooms and private swimming pools. 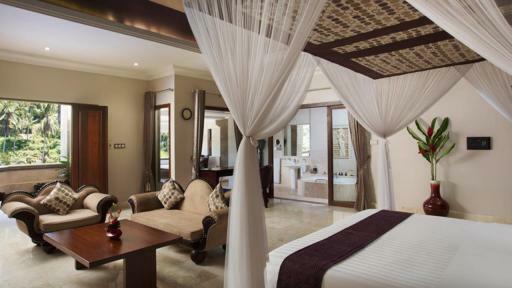 Pool Suite: With views of the Petanu River gorge, these suites are ideal for couples and feature a day bed and a heated private plunge pool. 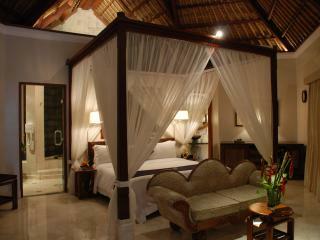 Room size is 150m². 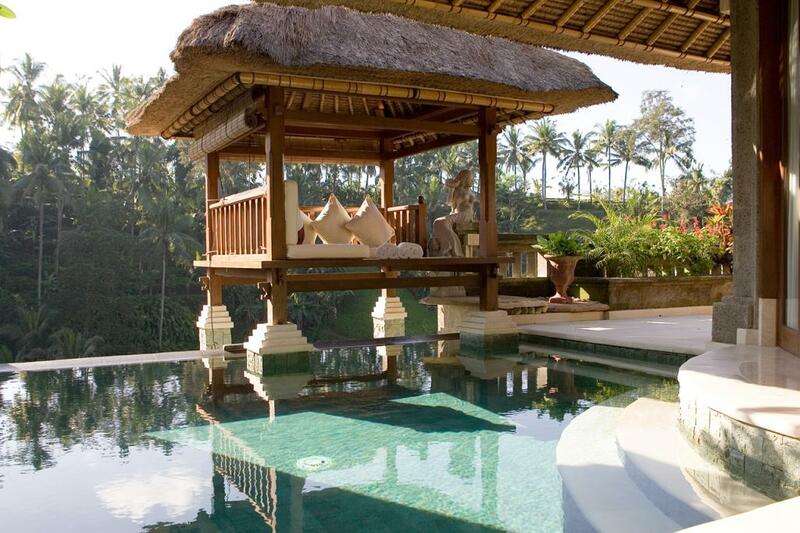 Terrace Villa: The highlight of the Terrace Villas is the bale, a small Balinese pavilion, perched over the private outdoor swimming pool. 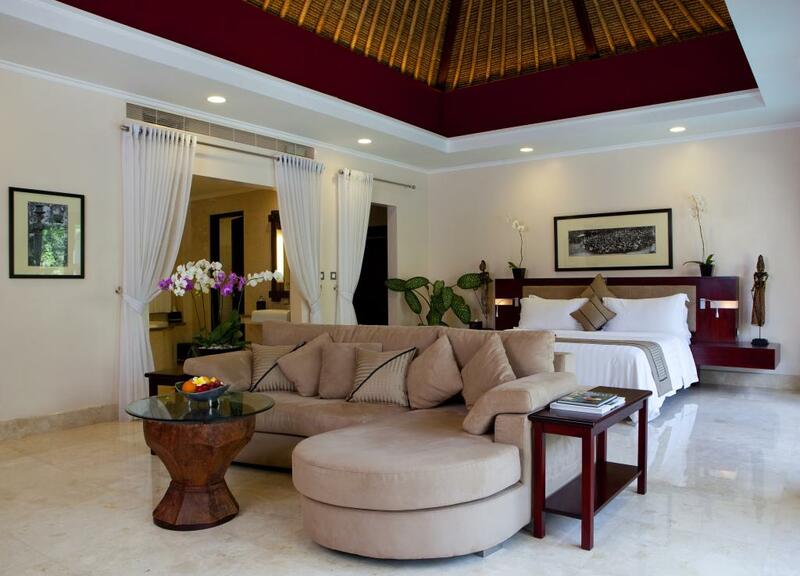 The bedroom is integrated with the living space, spacious bathroom, and terrace. 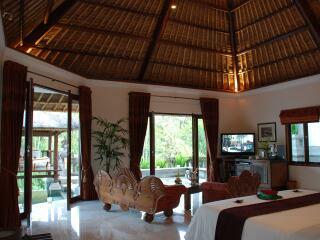 Room size is 150m². 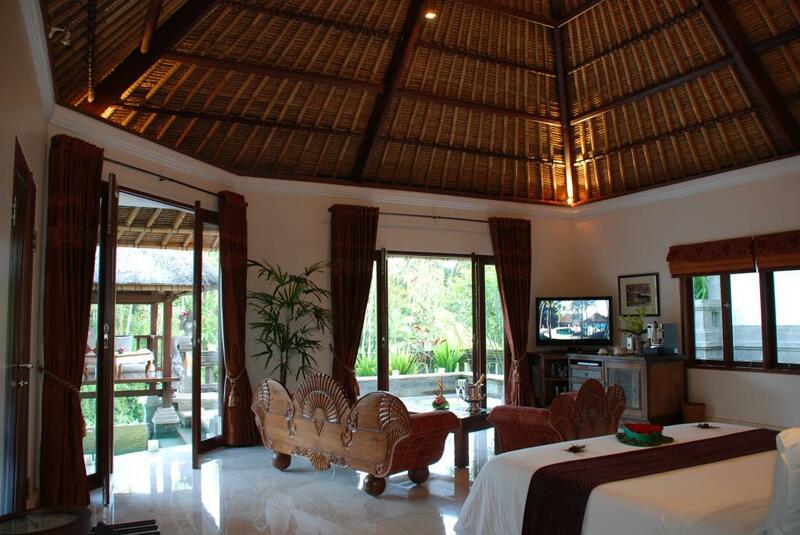 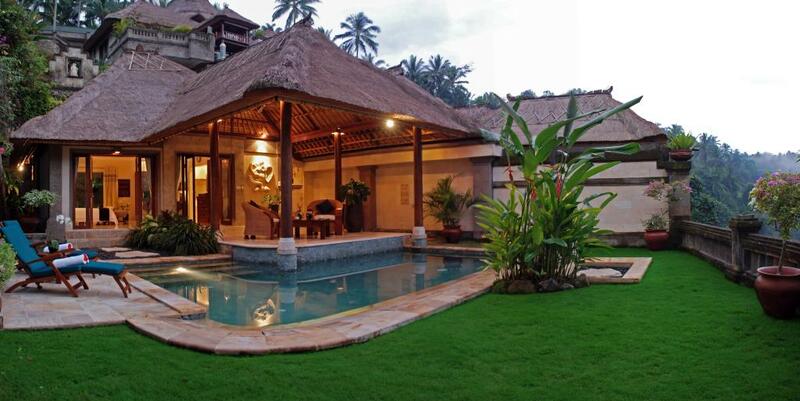 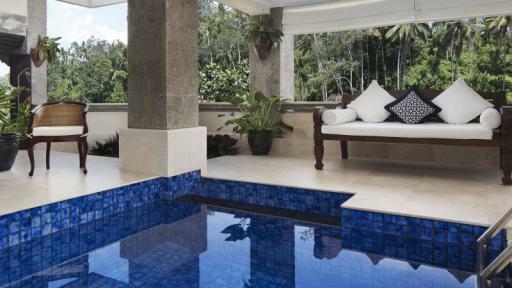 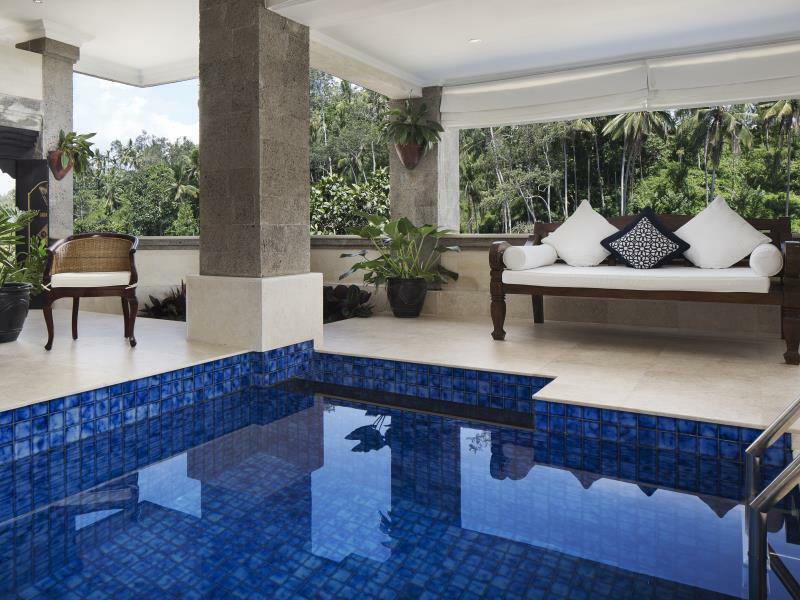 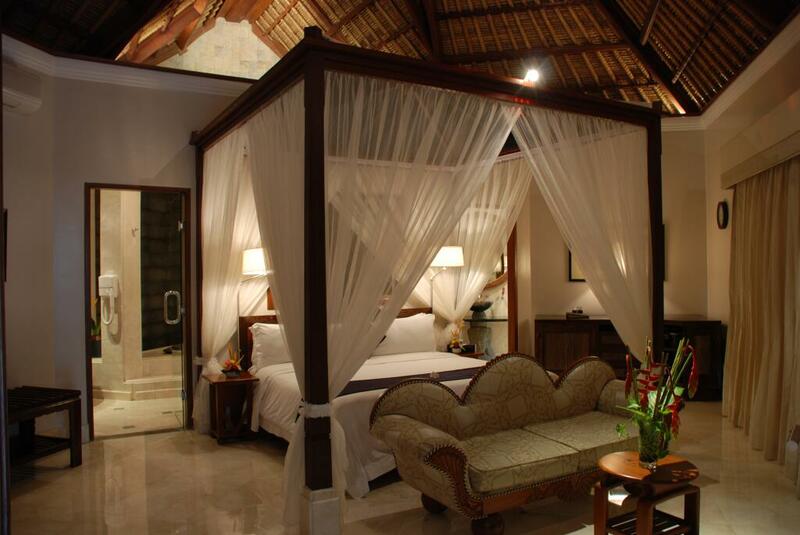 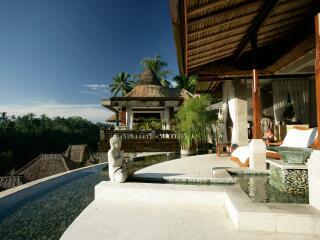 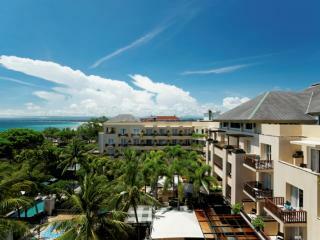 Deluxe Terrace Villa: These romantic private villas offer a spacious living area, bathroom terrace and pool. 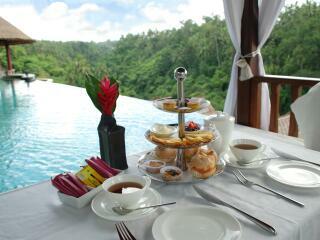 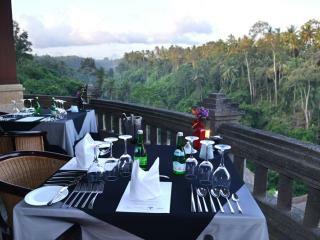 Enjoy beautiful views over Ubud's Petanu River Gorge. Room size is 150m². Vice Regal Villas: This exceptionally large villas offers a vast yet intimate bedroom with a large open bathroom, indoor and outdoor living areas. 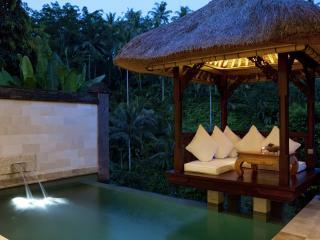 A private outdoor swimming pool with outdoor shower and a garden overlooking the Petanu River Valley offer pure luxury. 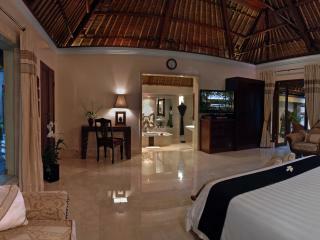 Room size is 200-240m². 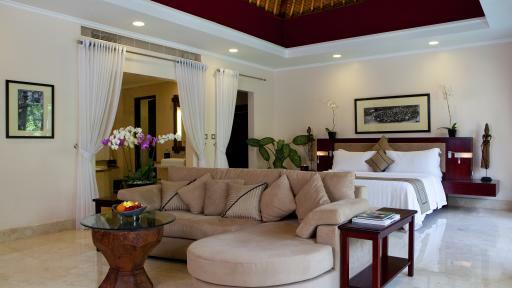 Viceroy Villa: The more prestigious villa within the property, the Viceroy Villa offers two spacious bedrooms, each with a luxury ensuite, separate living and dining areas and private 15 metre swimming pool. 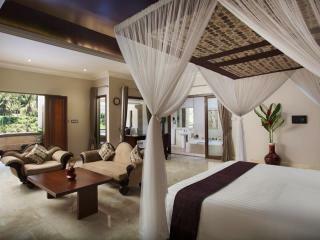 Room size is 400m². 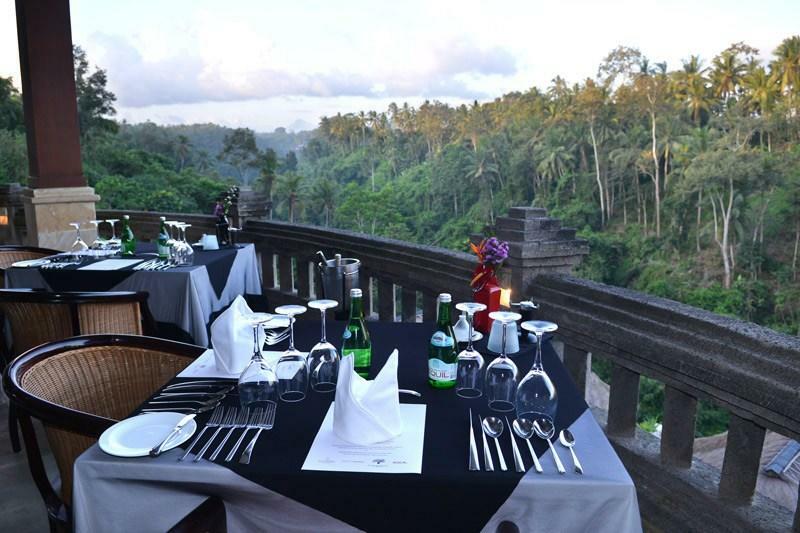 CasCades Restaurant: The open pavilion with thatched roof offers a French menu with twists of Asian, Japanese, Thai and Balinese influences with views of the valley. 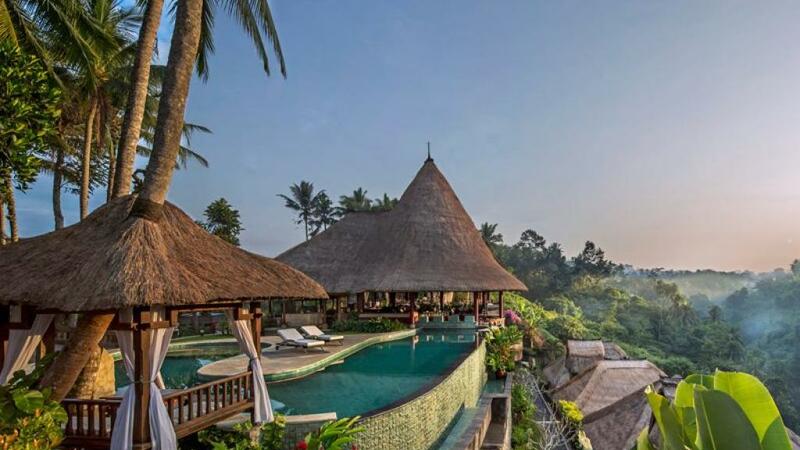 Viceroy Bar: One of Bali's finest bar, sit back and enjoy cognacs, scotches, Japanese whiskeys, spirits, cigars and wine from the cellar with spectacular views of the Petanu River gorge. 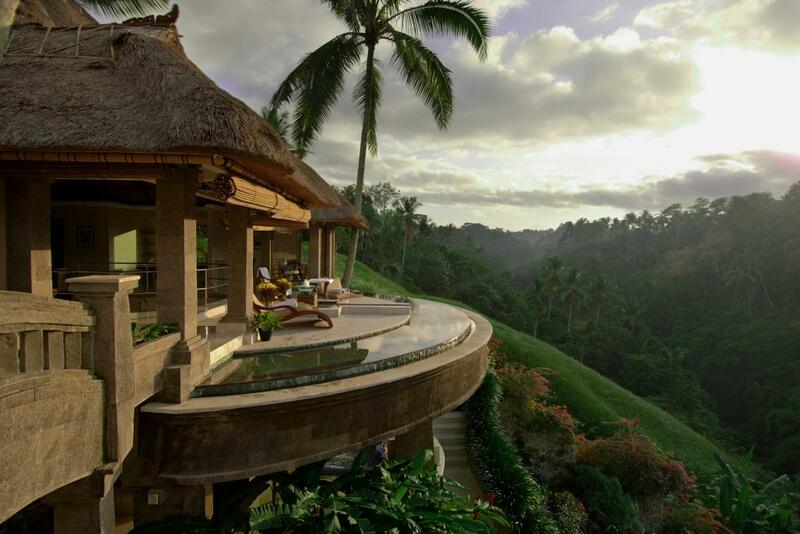 The Lembah Spa: Combining Western knowledge with ancient Balinese techniques, the certified Swiss therapist delivers a range of indulgent and relaxing massages and treatments with stunning views of the Petanu River valley. 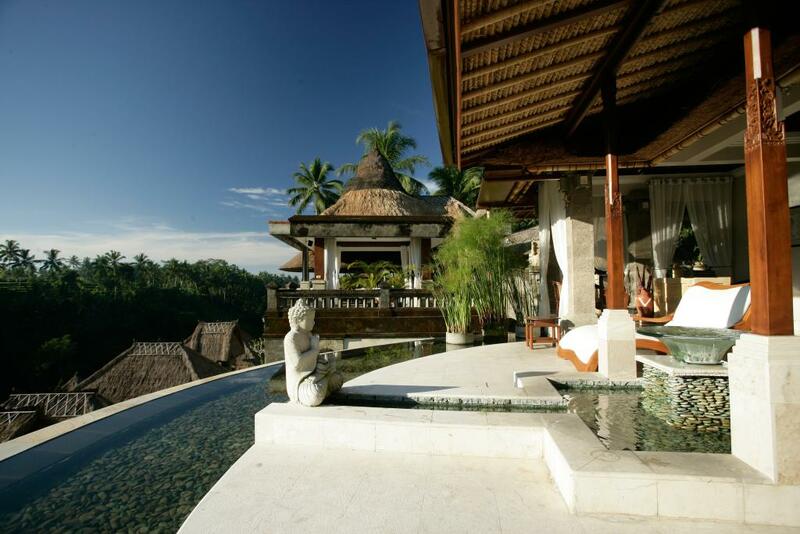 The staff of Viceroy Bali can help to organise your dream wedding whether it's a white wedding or traditional Balinese ceremony. 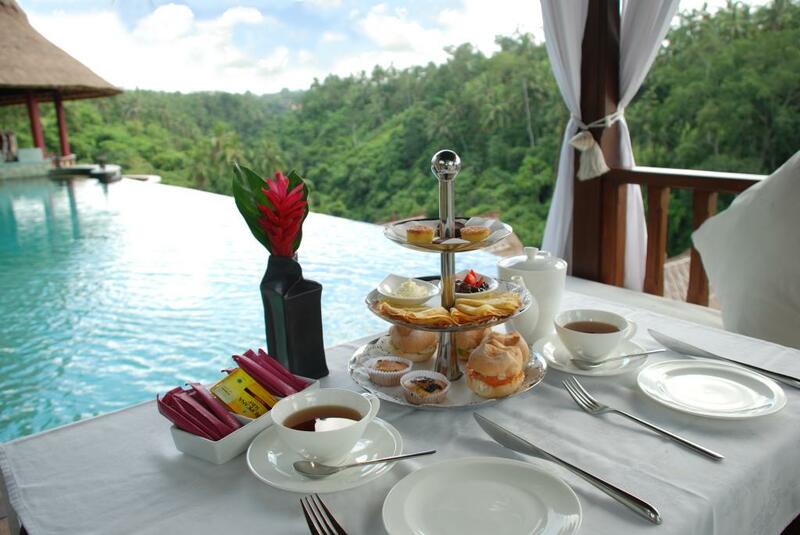 The magnificent venues are perfectly complemented by personal touches, amazing food and dedicated service providing memories to last a lifetime. 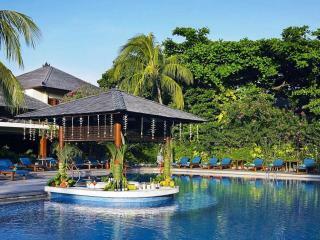 Children: are charged the child rate. 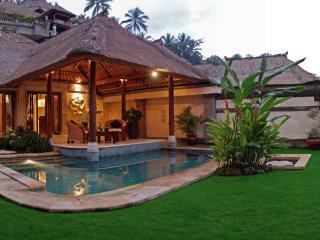 © 2019, TravelOnline Australia Pty Ltd.
ABN: 70 100 929 799.